Last month the UrbanCincy team launched URBANexchange, a series of informal gatherings designed to engage urban professionals and others interested in cities throughout the Cincinnati region. 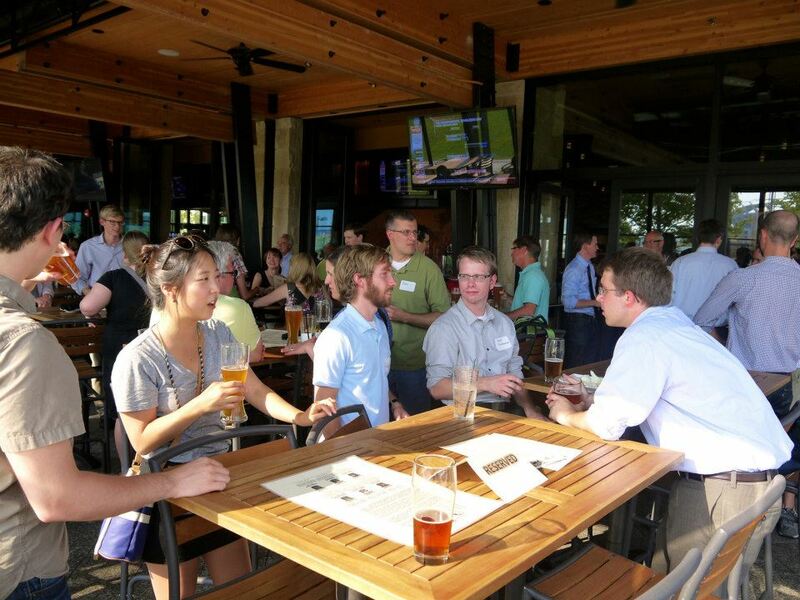 The second edition of the monthly event will take place tomorrow evening at the Moerlein Lager House from 5:30 to 7:30pm. “The first URBANexchange was informal in nature and generated some exciting discussion from a diverse collection of people from throughout Cincinnati,” explained John Yung, UrbanCincy’s public policy analyst and the event coordinator. The crowd engages with one another at the first URBANexchange held on July 3. Photograph by Travis Estell for UrbanCincy. The first URBANexchange drew roughly 40 people, a number the team hopes to be repeated tomorrow. Like the first event, the UrbanCincy team will give out a prize to one of the people that sign in or leave their business card. This month’s giveaway will be $25 worth of Christian Moerlein Beer Tokens, which would be well used at the next URBANexchange on Thursday, September 6. After UrbanCincy‘s start in 2007, the growing number of engaged urbanists in Cincinnati is particularly gratifying for the team. URBANexchange is produced in coordination with The Urbanists, and takes place monthly inside the biergarten at the Moerlein Lager House (map).